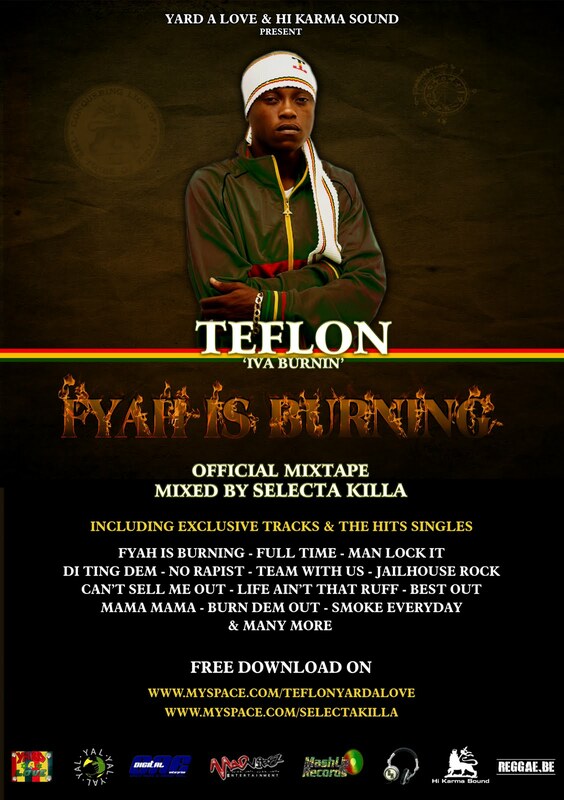 Teflon's "fire is burning" is officially a mixtape. The mix done by Yard A Love & Hi Karma Sound features exclusive tracks and singles from Teflon. The mix is available for download here . To purchase other Teflon singles-click here Be Obervant, Love to life.